Search Results for "Marijuana leaf"
Young Outdoor Marijuana Plant Leaf. A young marijuana plant in a pot. Just a few weeks old, starting to display five pointed leaf. CLOSE UP of Marijuana leaf in breeze for recreational or prescription medicinal weed smoking. Medical marijuana leafs moving, macro shot, abstract. Medical Marijuana leafs blowing, macro close up. Macro of green Marijuana leaf, zoom effect. Macro of green Marijuana leaf. 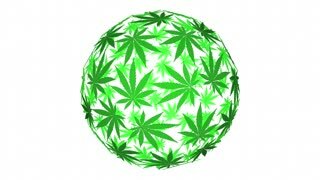 Multiple images of the American flag flying and super-imposed over an image of a marijuana leaf. CLOSE UP of marijuana leaf being watered for recreational or prescription medicinal pot use. Medical Marijuana leaf, macro close up. Man examining Marijuana plant leaf.